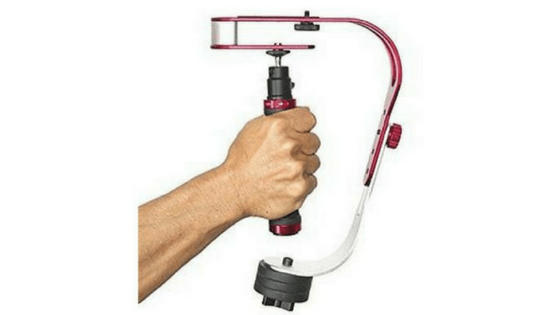 Should You Buy Gimbal Stabilizer For Your GoPro? 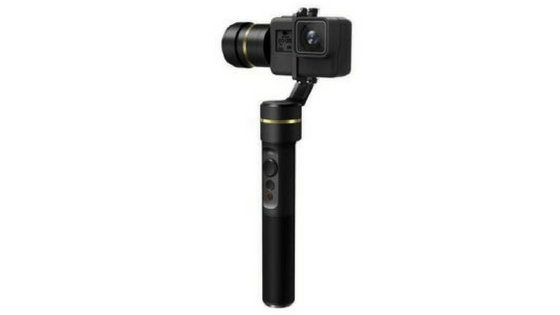 After considering over 26 products, we think the EVO GP-PRO is the best GoPro gimbal in 2019. This multi-functional stabilizer offers 4 modes, a little thumb joystick, and high torque motors for fantastic stable performance. Other interesting options for most people are Removu S1 and FeiyuTech G6. Oh, gimbals. The magic device that makes your average footage look beautiful. It doesn’t matter if you are a professional photographer or a just enthusiast, you must have heard about GoPro. An almost perfect action camera. GoPro is more than just a camera, it is an idea that you can have compact low-cost yet still very high-quality HD crash cam. A camera cheap enough to put in places or situations that might destroy it, and good enough to be worth using. Simply put, GoPro is an action camera of choice as it is compact, lightweight, and mountable. It can capture videos and photos in high-definition through a wide-angle lens and can be remotely controlled or set up to work automatically. Now you have a great action camera, have the skill, fantastic shooting range, and… And you are still unable to capture the perfect shot. Try a gimbal or stabilizer. Regardless you are a pro or an amateur, vibrations, and shakes of the camera can ruin your captures. Video stabilization is one of the key elements and taking a shake-free, smooth video with GoPro camera requires a quality gimbal. To save your time, we have searched for the best gimbals and stabilizers on the market. Our main criteria were: construction quality, weight, features, and price. Experts recommend multi-functional stabilizers and the EVO GP-PRO 3 Axis gimbal one of them. From the 4 modes, the little thumb joystick, and high torque motors for fantastic stable performance it seems EVO have thought of everything possible to deliver the best possible for both camera imagery and user experience. The EVO GP-PRO is made to last with its robust Aircraft Grade CNC Aluminium body adaptable to any situation. Designed to be compatible with the GoPro Hero cameras, but it is also compatible with other action cameras with similar size. CONSTRUCTION – Safety, stability, and durability. 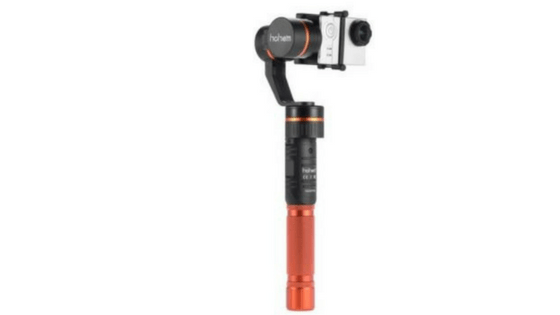 All these features should have a good GoPro gimbal – even the cheap one. The construct quality gives you more support and stability for your camera which results in smoother video footage. THE NUMBER OF AXIS – Newest gimbals usually have 3-axis that is better to control the camera position and record smoother video footage. Many companies also offer 2-axis units and even a single axis can be found on cheap GoPro stabilizers. To be honest, the number of axis you should use depends only on your video shooting style or action you want to capture. But for stabilizing shots in motion, there’s nothing better than a 3 axis gimbal. COMPATIBILITY – Some gimbals are designed only for certain types of cameras. Be sure to find out if your selected stabilizer will work with your device. WEIGHT OF THE CAMERA – Be sure you know your camera´s weight. Different types of gimbal stabilizers support different weights. It is also always a good idea to buy a lightweight stabilizer because you will hold not only the camera but also the gimbal in your hands. The investment into the GoPro gimbal can be difficult. There are plenty of models to choose from but not all of them offer the same results. So, it is important to keep in mind different criteria that your preferred product must have. 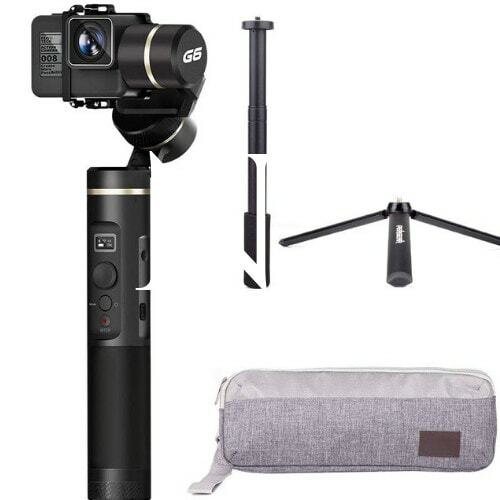 We have collected the 10 best GoPro gimbals and stabilizers for 2019. Let’s jump to the list. The OFFICIAL ROXANT PRO has a solid stability, customizable lower arm and is made out of material to ensure there is no slip. The handle is comfortable and includes three counterweights for precise adjustment and balance. This stabilizer is used in tight places such as cars, bus, crowds while walking or running. ROXANT Pro is for people who think that stabilizer is worth the investment at just around $70. Yes, it is cheap, simple, and most important ROXANT will make your handheld video shots better. Supports DSLRs, Smartphones, GoPros, Video Cameras, and other video and photography devices. This hybrid selfie stick for GoPro can be used in three configurations. 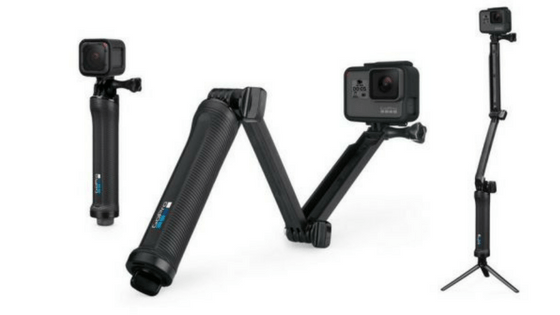 You can use the GoPro 3-Way Grip as a tripod, as a camera grip or just an extension arm. Low price, sturdy design and easy to grip even with gloves on. These are the main reasons why to buy the GoPro 3-Way Grip. 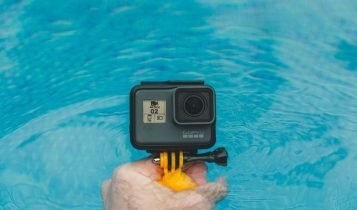 This GoPro accessory is sweat and waterproof which make of it ideal for use around or in the water. Fantastic edition from Feiyu. This brand knows how to make a good GoPro gimbal. The G4-QD is similar to its older version G3, but all the upgrades really make the newer version standout. The Feiyu Tech G4-QD is extremely easy to use one you set it up. Compatible with for all GoPro and other sports cameras with similar size, it gives you 320-degree pan/tilt rotation along with the 100-degree rotation. All that for super smooth flowing motions. If you are on the hunt for a goof handheld Gimbal, then you should try the Feiyu G4 3-Axis. The Hohem 3 Axis Stabilizer is a versatile, lightweight, durable and easy to use unit compatible with GoPro Hero series, YI Cam, and many other similar action cameras. After a quick and simple one-click installation, you will enjoy its 3-axis full 360-degree precision ideal for extreme activities like skiing, snowboarding, biking, skydiving and more. The full aluminum alloy nicely tolerates vibrations, impacts, regulates use and mishandling. With this handheld GoPro gimbal stabilizer, you could definitely film the footage perfectly without any shaken movement. The Feiyu Tech G5 is one of the best gimbals on the market and it deserves to be there. It is easy to use, provides awesome stabilization, and has a long battery life of 8 hours – you can even charge your camera with the gimbal battery. Basically, all you need from good GoPro gimbal. With Feiyu Tech G5, you get a waterproof stabilizer compatible with most of the recent cameras, and an excellent alternative to GoPro’s official Karma Grip. 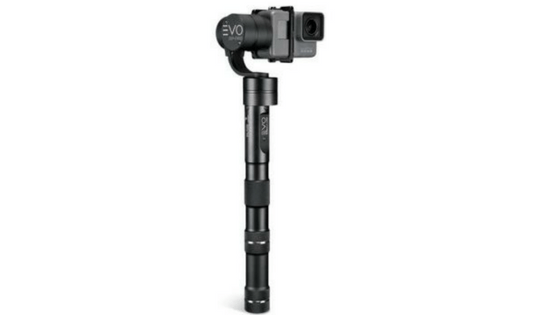 Evo GP-PRO is another one of the most famous GoPro stabilizers on the market today. This new generation of camera equipment is allowing you to shoot smoother video with its 3 axes of stabilization. You can easily mount your camera on it and shoot shake-free videos without spending the time to learn how to do it. An awesome addition is the 3.5mm AV output which gives you the opportunity to view the videos on an external monitor. 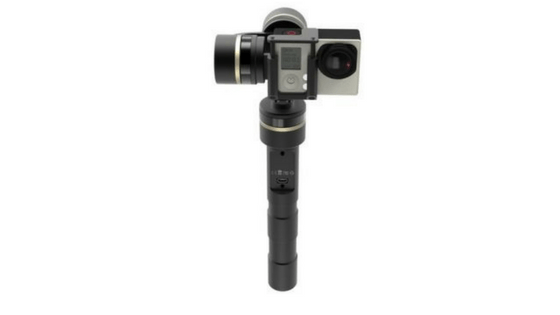 The EVO GP PRO 3 axis GoPro Gimbal is loved for its simplicity, long battery life, and overall quality. An ideal choice for both beginners and professional filmmakers. 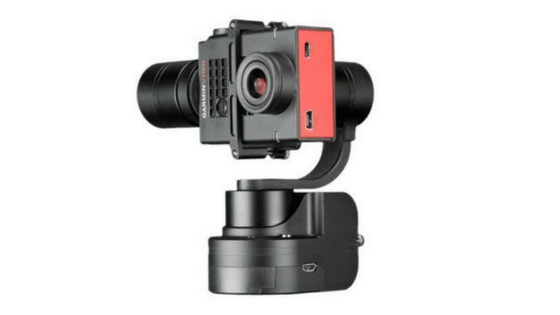 The Karma Grip is first official 3-axis gimbal from GoPro company for their famous action cameras. 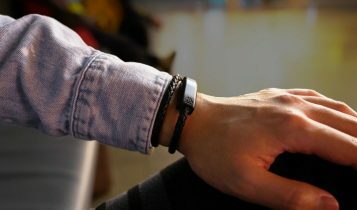 It delivers super smooth video when you are moving around, is easy to use and has decent battery life. The Karma Grip is designed for capturing sports, so you can hand-carry it, mount it on your helmet or any other item, and you get still stable footage. This is the biggest advantage over most of the competitors. Regardless of how the grip is mounted or hand-carried, the footage is extremely stable. If you are looking for an effective way how to capture awesome videos of your adventures, or just take your filming to the next level, you should consider investing in GoPro Karma Grip. The EVO SS 3 axis wearable gimbal is another premium gimbal allowing you shoot silky smooth videos with your action camera. Several stabilization modes, ability to set the tilt angle of the camera manually and the turn-back mode are the biggest advantages of the EVO SS. But the key element of this gimbal is the versatility. The SS includes a 3.5mm AV audio/video output port ideal for an external monitor as well as offering a standard 1/4-20″ female thread in case you want to use it with the telescoping extension pole (part of the standard package). What’s more, the EVO SS is designed to extend your GoPro’s battery life. In term of usage, it is easy to connect and disconnect with GoPro as well. An improvement of the previous F5 version. The Feiyu G6 is splashproof gimbal with a 3-Axis stabilization and fantastic battery life. 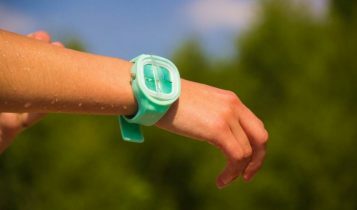 You can expect up to 12 hours of running time on a single charge. What´s more, the F6 gives you excellent overall performance and intuitive controls. The last entry on our list is the Removu S1. A weatherproof 3-axis gimbal that definitely helps you get rock-steady footage from your GoPro. Compatible with the GoPro Hero 3/3+, Hero 4, Hero 5 and Session models, this gimbal stabilizer is loaded with technology and packed with features. You are also free to mount it without its grip – you can have shake-free footage even when helmet- or chest-mounted. 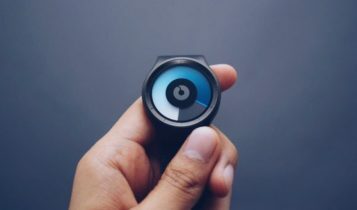 Regardless, if you are video blogger who wants to get a steady video while walking or action sports enthusiast who needs stabilizing its footage while performing their kind of sport, the Removu S1 does what it promises. 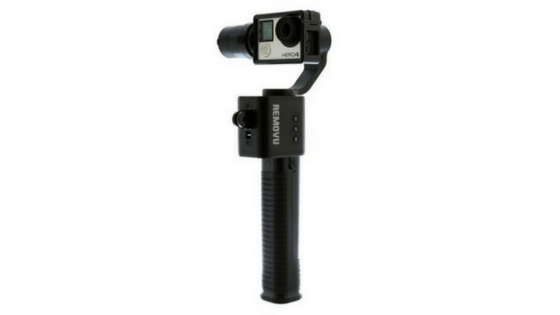 With so many options, it is little tricky find a gimbal that fits all your needs. Should you use regular or advanced 3-axis version, with a remote control or without. All depends on your requirement and what you really want. Nevertheless, there are some criteria to keep in mind, telling you about most important facts you should know before you begin your search. Weight Of The Camera – Different types of gimbal stabilizers support different weights. Be sure you know your camera’s weight. Buying a lightweight stabilizer is always a good ideal. Balance – Another element of your checklist should be the balance. A key element, because that is why you are searching for the gimbal. The GoPro has to be properly balanced depending on the surface you placed it or action you are doing. Motor – Always look for the best possible motor quality to ensure more safety to your camera as it rests on the stabilizer. It is also an important factor leading to better quality pictures and video by giving you stability. Construction – Stability, safety, and durability. All you should require from good gimbal. It high construct quality gives more support and stability to your GoPro camera which after results to better pictures and video quality. Design – The design is always subjective. 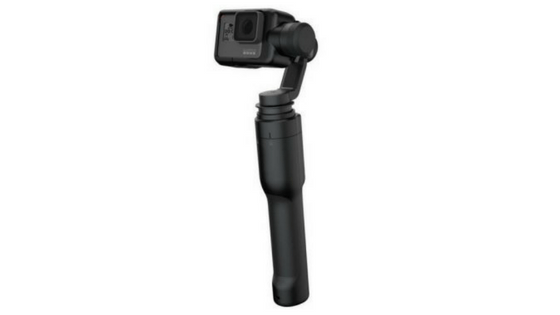 When considering a gimbal stabilizer for your GoPro, you should keep in the mind if you want the long or short handle. Yes, it depends on your needs and preferences, but you will probably want a longer stabilizer if your camera is heavy. Also important is the grip of the handle. Do you want a rubber, plastic, or foam? The handle must be comfortable to hold and does not slip in sweaty hands. Battery – On average, the battery in standard gimbal should last for 4-6 hours. A proud drone owner? Improve your footage with the best drone gimbals. 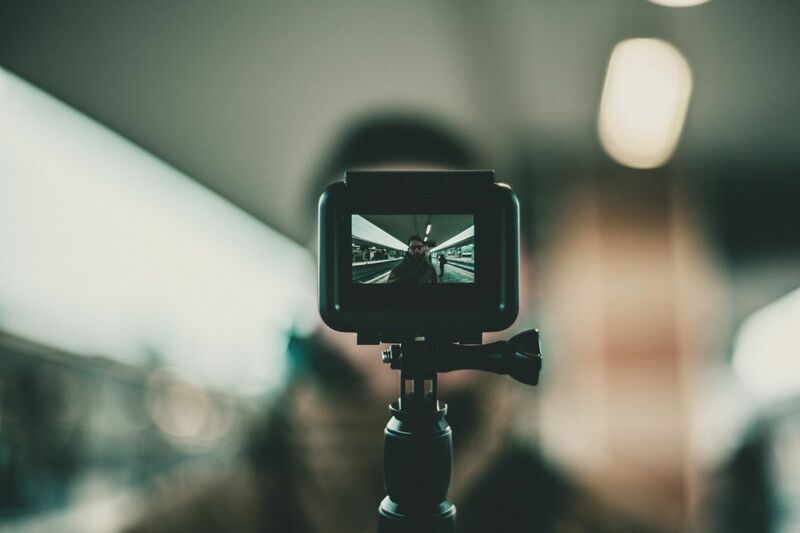 Your effort to improve video shooting quality is not dependent on one type of handheld gimbal. You can choose from manual devices, gimbals with motor, 2 or 3-axis models. Non-Motorized Stabilizers – Control. This is why videomakers are using non-motorized stabilizers. You have much more control over the subtle movements of the camera. This type of stabilizer is ideal if you are tracking a moving object. Of course, it takes longer to learn how to operate as fas as making your camera movements look smooth. Motorized Stabilizers – The biggest advantage over the non-motorized models is the setup. One it is set up and balanced, you just use it and start shooting. The stabilizer will maintain the best shooting level, you just frame the shots. Two vs 3-Axis Gimbal – The biggest factor that sets 2-axis gimbal apart from 3-axis are directions of the movements. The 2-axis gimbal works on the pitch and roll basis. It offers stability and support, but the camera moves only upwards and downwards. Compared to that 3-axis gimbal moves also from left to right. The disadvantage of the 3-axis model is the weight and shorter battery life. Despite these shortcomings, stabilizers with 3-axis are the gold standard for smooth shots. We are hoping you’re not overwhelmed because as you can see, there are a lot of important things to consider before buying the best GoPro gimbal. To put it simply, we recommend the EVO SS 3 Axis Wearable Gimbal. It has a great rating and good price for what it gives. In general, gimbals play a huge role in improving the quality of the videos you take. Even the cheapest model on this list will make smoother shots than just the camera alone. Without hesitation, if you feel you want to take your video quality to a new level, you have to invest in GoPro gimbal. The year 2004 was very important for the adrenaline freaks all over the globe. In this year, Nick Woodman sold his first GoPro. A portable and durable camera that can be attached to almost anything, and go anywhere. Since then, GoPro becomes the go-to action camera for extreme sports. We are going to show you 4 tips (from Evogimbals.com) helping you level up your video skills. Find A New Angle – Different mounts can provide different views that can improve or even change the story you are capturing. A camera mounted on a bike helmet gets a view from the eyes of the rider, but a camera mounted on the bike to face back captures other riders behind you. Two different views, same moment. Improve Video Quality With Filters – Filmmakers are utilizing a variety of different filters to improve the final version of videos. For more inspiration, play this video from Jeven Dovey. Stability – Gimbals are amazing. 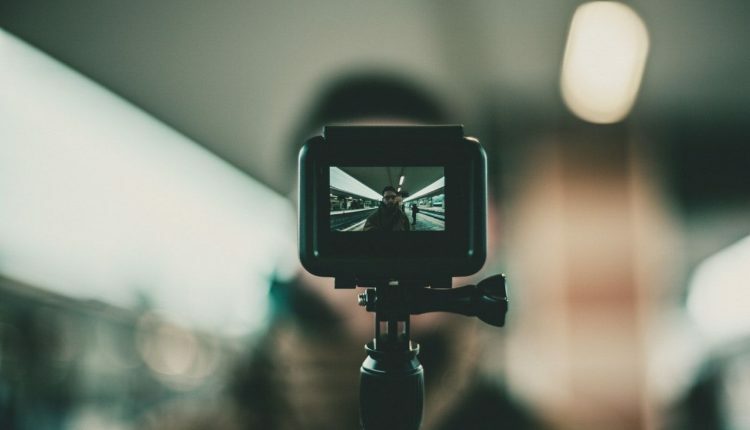 They are exciting to use, relatively easy to figure out, and they expand your filmmaking style and the types of shots you can acquire to a countless degree. For stationary shots, the best option is a tripod when it comes to stability. For shots in motion, there’s nothing better than a 3 axis gimbal. Don´t forget that video can also be stabilized in post-production using dedicated software – Apple Final Cut Pro or Adobe Premiere. Adjusting Camera Settings Manually – GoPro´s default settings are good enough to make great videos, but it is actually useful to try manual setting and push the limits. Here is a cool comparison GoPro video by MicBergsma. If you enjoyed this best GoPro gimbals and stabilizers review, you’ll probably like our other lists as well. Here are some popular resources from the Nechstar.